The second study case refers to Catalonia. This region was chosen as, in addition to having implemented processes of strategic environmental assessment in urban planning practices, it relies on the support of a qualified study centre: the Landscape Observatory. This centre was created to respond to the need to study the landscape, prepare proposals and sensitise Catalan society to the need for better protection, management and planning of the landscape within a framework of sustainable development. The Landscape Observatory has focused its efforts on identifying and cataloguing Catalan landscape values, creating new instruments for the introduction of landscape objectives into spatial planning. This unique case highlights the potential for landscape interpretation using evaluation methods that address the needs of modern urbanism. 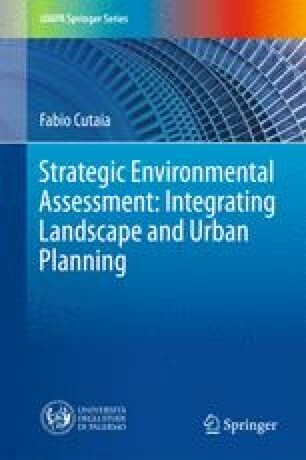 Combining approaches to landscape assessment, it allows more effective tools to be adopted, forming a consensus and the pursuit of a set of common, shared objectives and, not least, greater involvement of the local community. Furthermore, each approach compensates for the weaknesses of the other, thereby ensuring a high degree of acceptance of the system—also promoting a broad consensus on the part of professionals who work in this area. For these reasons, the study presented intends to show how the environmental assessment in general, and Directive no. 2001/42/EC in particular, is able to incorporate environmental issues into the planning process, creating a virtuous circle for modern urbanism, triggering positive outcomes and widely shared processes.